"... Falletta with her Buffalo Philharmonic forces has once again hit the jackpot ... strongly recommended." Violin Concerto, "The Red Violin"
"The Buffalo Philharmonic plays throughout with confident assurance under JoAnn Falletta’s baton ... will ensure many more music lovers will get to hear this powerful and compelling work. "Disc of the Month. This is a wonderfully smart coupling: two major works both based on theatrical scores ... Falletta and her Buffalo players also put on a virtuosic display, clearly relishing the many opportunities that Corigliano gives them to strut their stuff. The whole production is engineered with vivid but unobtrusive naturalness. A total winner." JoAnn Falletta and the Buffalo Philharmonic continue their revelatory exploration of Corigliano’s highly engaging and imaginative symphonic music on this Grammy nominated album. 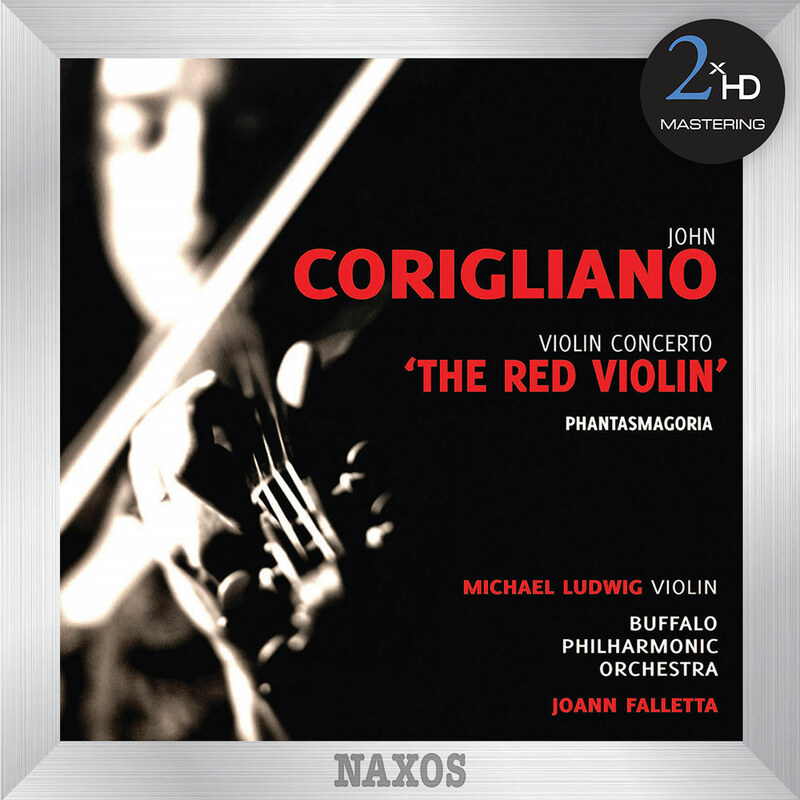 Music from the composer's third film score, The Red Violin, provided elements which Corigliano elaborates in the Violin Concerto which features violin soloist Michael Ludwig. The programme also includes Phantasmagoria, drawing material from his immense opera The Ghosts of Versailles with subliminal quotes from Mozart, Rossini and Wagner.